Worksheets with two skill levels follow the introduction of each new phonetic skill. They provide your child with opportunities to practice the new vowel skill in context and acquire new vocabulary. 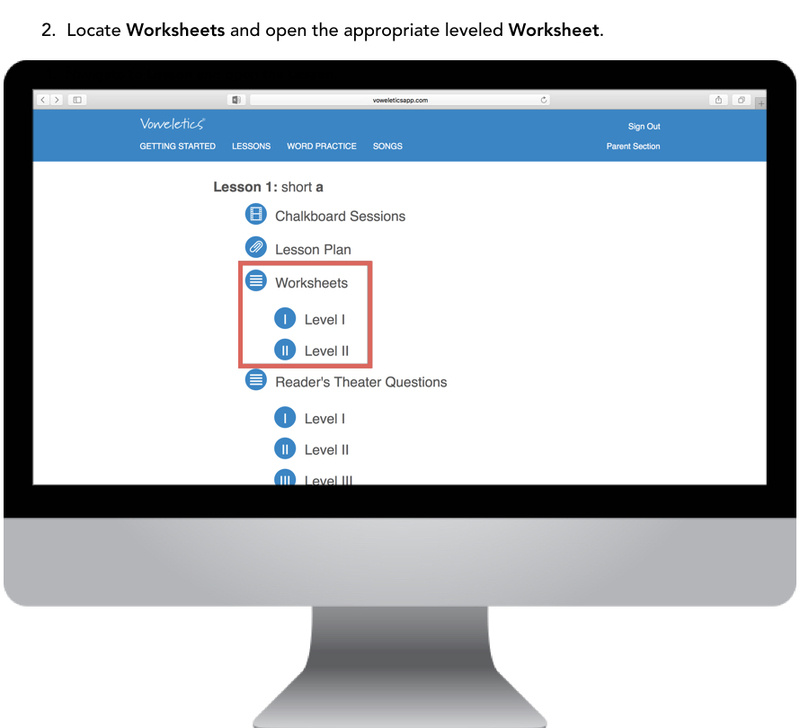 The worksheets are multi-leveled according to skill complexity. You should choose the appropriate skill level for your child. Choose a worksheet level that best matches your child’s ability to work somewhat independently. If the Level I worksheet is too difficult for your child, you may choose to not complete a worksheet for that lesson or do it together.